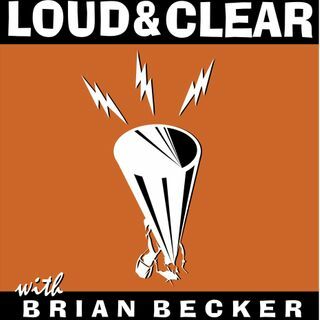 On today's episode of Loud & Clear, Walter Smolarek (sitting in for Brian Becker) and John Kiriakou are joined by Neil Clark, a journalist and broadcaster whose work has appeared in The Guardian, The Week, and Morning Star. Former George W. Bush press secretary Ari Fleischer took to Twitter yesterday to commemorate the 16th anniversary of the start of the Iraq war and to try to dispel the common belief that the Bush Administration lied about Iraqi weapons of mass destruction as a cause for the war. Fleischer instead set off a debate about intelligence support for the war, intelligence failures, and the politicization of analysis as the world mourned the deaths of the hundreds of thousands who lost their lives as a consequence of the 2003 U.S. invasion. Kathy Kelly, co-coordinator of Voices for Creative Non-Violence, joins the show. The European Union has hit Google with yet another big antitrust fine. This time it’s $1.7 billion. The European Commission says that Google has “cemented its dominance and shielded itself from competitive pressure by imposing contractual restrictions on other websites. Since 2017 the company has been fined $9.3 billion by the European Union. That’s against $31 billion in profits just last year. Walter and John speak with Bill Binney, a former NSA technical director who became a legendary national security whistleblower. Former DNC Chair Donna Brazile is joining Fox News as a paid contributor, a move that caused serious political controversy. In addition to her decision to work for an outlet that critics say promotes extreme right-wing views, Brazile has come under fire for her role in the 2016 Democratic Party primary. Tim Karr, the senior director of strategy and communications at Free Press, joins the show. The family of a woman shot in what activists are saying is yet another racist killing by police, this time committed by a Florida state trooper, is asking the Justice Department to investigate. Police say that Latasha Walton was pulled over for driving erratically before she tried to run over the policeman. But video shows that Walton tried to slowly drive around the officer when he pulled out his gun and shot her at least seven times. Ruth Beltran, an organizer with Black Lives Matter Tampa, joins Walter and John. Wednesday’s weekly series, In the News, is where the hosts look at the most important ongoing developments of the week and put them into perspective. Jacqueline Luqman, the co-editor-in-chief of Luqman Nation, which hosts a livestream every Thursday night at 9:00 p.m. on Facebook, and Sputnik news analyst Walter Smolarek, join the show.